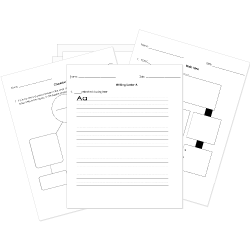 You can create printable tests and worksheets from these Children's Literature questions! Select one or more questions using the checkboxes above each question. Then click the add selected questions to a test button before moving to another page. Jess's father tells him he is going over to the Burke's to pay his respects and suggests that Jess comes along because he knew the little girl best. Jess is confused and does not know which "little girl" his father is speaking of. What does the BFG stand for? What did Sweetie Pie Thomas ask Opal and Winn-Dixie to do? Who bought Wilbur from Fern? What did Opal learn about Otis? He had been in jail. He was from another country. He was allergic to most animals. How was Mr. Zuckerman related to Fern? What was the first message they found in Charlotte's web? What did Mr. Arable say had to happen to Wilbur when he was five weeks old? What is the occupation of the narrator's father? What did Gertrude do to Winn-Dixie?